Three accomplished individuals and three prominent organizations accepted Gold Medal honors highlighting their outstanding contributions to Greater Miami at Miami Today’s Gold Medal Awards dinner last week. During the ceremony, longtime development and arts leader Jorge Pérez accepted the Lifetime Achievement Award for his past and current contributions to the community. Seven judges selected the Gold Medal Awards winners from among victors in local and national competitions held last year – only top-level recipients were eligible for consideration for entry in the Gold Medal competition. Miami Today and dinner sponsor Coastal Construction Group chose and then honored Mr. Pérez as Lifetime Achiever. In balloting for the top organization, judges selected Miami International Airport for the Gold Medal. The airport in 2016 received major awards for its services and amenities from the American Association of Airport Executives, the National Association of Counties and the Airports Council International North America. 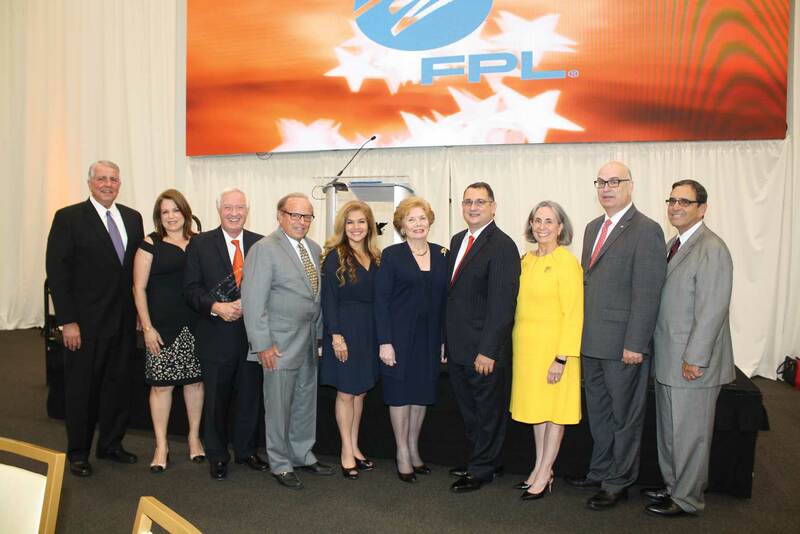 Miami-Dade County Aviation Director and CEO Emilio T. González accepted the award for the airport, making it clear to the applauding audience that he was speaking for every airport employee. Teresa Valdes-Fauli Weintraub, financial adviser and managing director of Gold Medal sponsor Merrill Lynch, made the presentation to Mr. González. Donald Slesnick, managing partner of the law offices of Slesnick & Casey and the honorary consul of Australia in Miami who in 2016 received the Lifetime Achievement Award from the American Bar Association’s Small Firm & General Practice Division, was honored with the Gold Medal for an individual. Judy Saavedra, sales and marketing director of sponsoring Century Homebuilders Group, presented the award to Mr. Slesnick. The Miami Beach Visitor and Convention Authority won the Silver Medal for an organization based upon four major awards in 2016: being voted North America’s Leading Tourist Board 2016 and World’s Leading City Tourist Board 2016, and also being honored with the Travvy Award for Best Wedding Destination, US and Canada, by Travalliance and the Silver Magellan Award for Best Beach Destination, US and Canada, by Travel Weekly. Authority Executive Director Grisette Roque accepted the award from Robert Hohenstein, president and CEO of the sponsoring Miami-Dade County Fair & Exposition Inc. The Silver Medal for an individual went to Alice N. Bravo, director of the Miami-Dade County Department of Transportation and Public Works, who in 2016 received the Alvah H. Chapman Jr. Award of Excellence in the Young Leaders Category from the Greater Miami Chamber of Commerce. Ms. Bravo accepted the Silver Medal from Marie Bertot, emergency preparedness communicator and strategic public relations manager of sponsoring Florida Power & Light. 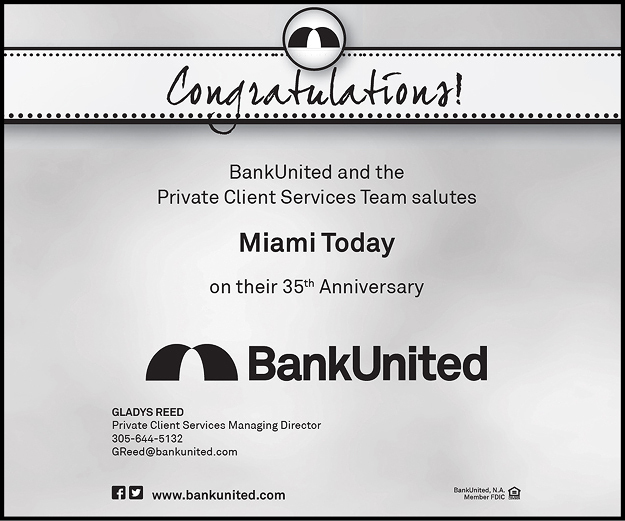 The Bronze Medal for an organization went to United HomeCare Services, which last year and for 38 consecutive years was designated Community Care for the Elderly Lead Agency for Miami-Dade and Monroe counties by the state. Presenting the award to United HomeCare Services President & CEO Carlos L. Martinez was Manny Crespo, shareholder of sponsoring Greenspoon Marder law firm. The Bronze Medal for an individual was presented to Elaine Bloom, president and CEO of Plaza Health Network, who earned the 2016 Women Empowering & Embracing Women Award from the Florida Hispanic Chamber of Commerce’s Hispanic Women’s Society Network. Also in 2016, she became the first woman inducted into the Florida International Bankers Association Hall of Fame for her achievements in the industry’s growth. Presenting the award to Ms. Bloom, who came out of retirement in 2015 to became president and CEO of Plaza Health Network, was Michael Wohl, partner in the award-sponsoring Pinnacle Housing Group. Jorge Pérez, by accepting the Lifetime Achievement Award in the Gold Medal competition, followed a group of Miami luminaries. Earlier winners were, chronologically, Judy Drucker, Adolfo Henriques, Merrett Stierheim, Phillip and Patricia Frost, Sen. Bob Graham, Aaron Podhurst, Arthur Hertz and Maurice Ferré. In accepting the Lifetime Achievement Award, Mr. Pérez noted that as an urban specialist he might have chosen New York or Chicago as places to build a career. But, he said, those communities were already finished by and large, whereas in Miami he found the opportunity to help build the community – as he certainly has – and make his mark here. Mr. Pérez was recognized as both a long-time developer of both the skyline and Miami housing and a contributor to the arts, most notably at the Pérez Art Museum Miami, to which he contributed not only funding but his entire collection of Cuban art. Michael Lewis, publisher of Miami Today, and Carmen Betancourt-Lewis, Miami Today vice president, presented the Lifetime Achievement award to Mr. Pérez on behalf of dinner sponsor Coastal Construction Group and Miami Today. Judges who selected the Gold Medal Awards were Dr. Roslyn Clark Artis, president of Florida Memorial University; Jaret Davis, chairman of the Beacon Council and co-managing shareholder of Greenberg Traurig; Wendy Kallergis, president and CEO of the Greater Miami and the Beaches Hotel Association; Bruce Orosz, chairman of the Greater Miami Convention & Visitors Bureau and president of ACT Productions; Alfred Sanchez, president and CEO of the Greater Miami Chamber of Commerce; Mark Trowbridge, president and CEO of the Coral Gables Chamber of Commerce; and J. Antonio Villamil, founder and principal of the Washington Economics Group. ■The importance of achievements for which nominees had received awards in the past year. ■The stature of those recognizing organizations. ■The long-term impact of the honorees’ achievements on this community. 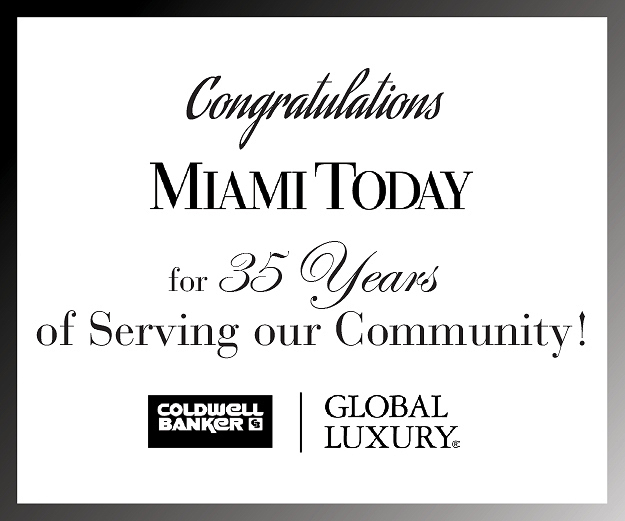 Miami Today 18 years ago established the Gold Medal Awards to honor The Best of the Best, choosing among honorees that already had received from peers top honors in the prior year. Trophies were presented after an invitation-only reception and dinner on the 19th floor of the JW Marriott Marquis downtown, which has been the site of the past six dinners. Past Gold Medal Award winners, the judges and leaders in business and government, as well as an international delegation of consuls general, attended to salute the honorees. This is a wonderful and well deserved honor! 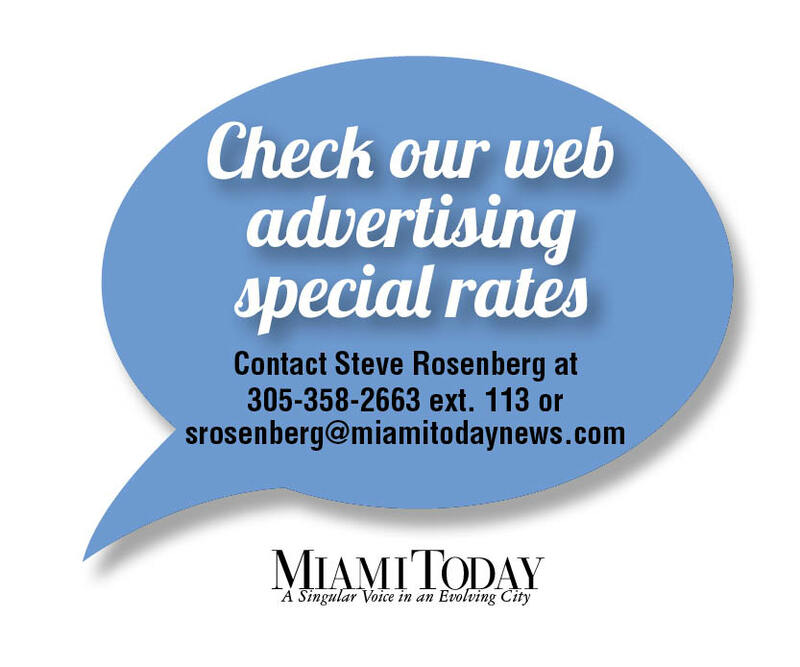 Having been an employee of the organization at one time, I know very well how dedicated and committed to the elderly and disabled Of Miami-Dade County the organization is. Congratulations!